New York is one of those cities you have to visit at least once in your life. It truly is not like any other place. You really need about a week to get a fill of the city and that still might not be enough! 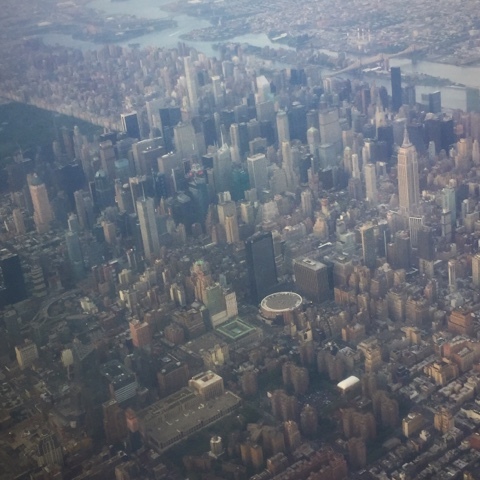 However, that's not how we do things around here, weekend trips are my specialty and I'm here to recap my most recent visit to the Big Apple and give you some tips along the way. We visited the city Friday night to Sunday evening and saw so much that I can't wait to share! 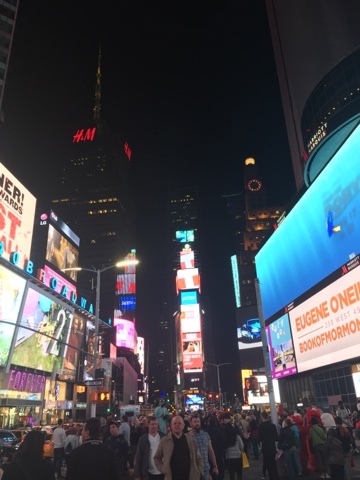 Our hotel was the wonderful Marriott Marquis in Times Square which is one of my favorite hotels, you are literally in the middle of Times Square! I'm talking billboards from your windows, play and musicals right across the street from the hotel Starbucks middle of times square. That being said, if you dislike crowds, bright lights and double decker busses this may not be the hotel for you. Something calmer on the east side like the New York Marriott East Side might suit you better. I have stayed at both and are two great choices! Since it was only about 9pm, I wondered if anything was still open (HAHA) this is NYC everything was open plus it was a Friday night. We took Times Square by storm and by storm I mean we walked around looking at the different play/musical marquees (so many big names on Broadway right now), shopping (got the cutest pair of blush lace-up flats), browsing the touristy souvenir shops (hello Statue of Liberty foam hats), and snagging a piece of Junior's cheesecake (food coma) so all in all a pretty fun night! Utilize every minute you have in this fabulous city! The next morning we were up before our alarms set at 7:30am beeped off and out in Times Square again to decide what we wanted to do on our full day in the city. I have found it easy to walk and take the tourist bus systems (yes, the double decker) and get the package which can take you all over town. Unless you are with a local or are a former one, you will get lost and/or not know where you are going. The bus helps alleviate some of that and you won't rack up on expensive cab fares. We used Grayline and found it to be a good service. So after we got our tickets we decided to walk over to Top of the Rock which was only a few minutes away. 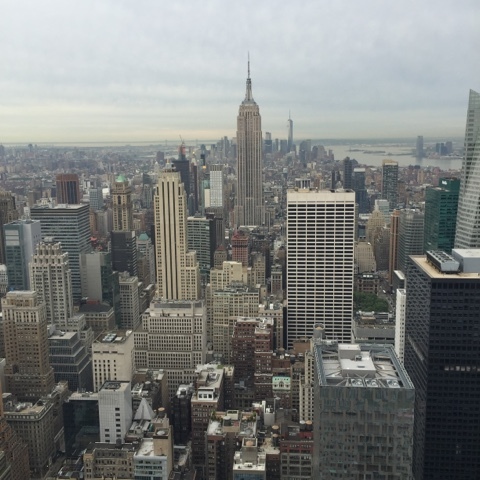 I love Top of the Rock, it allows you to see the whole city from a bird's eye view! Just a suggestion, get there early, I'm talking when they open at 8am since it is such a popular spot so you will avoid long lines. After seeing the city from atop the Rock, we boarded our bus (look for your respected busses everywhere but be sure to ask which way it is going such as Uptown, Bronx, Downtown,etc.) 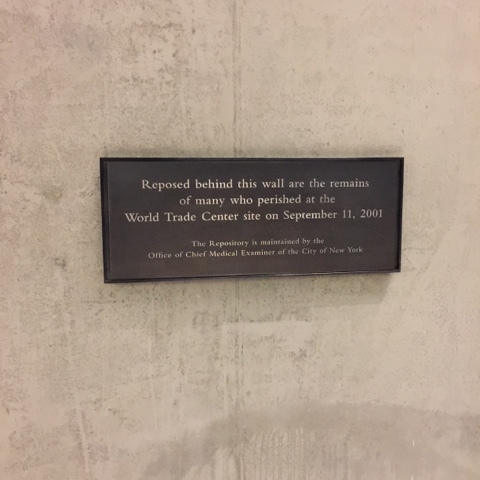 to make a stop at the 9/11 Memorial and Museum. 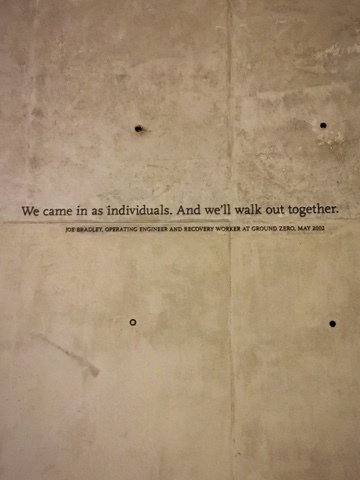 The Museum opened last year and I knew it was definitely something I wanted to see in person. 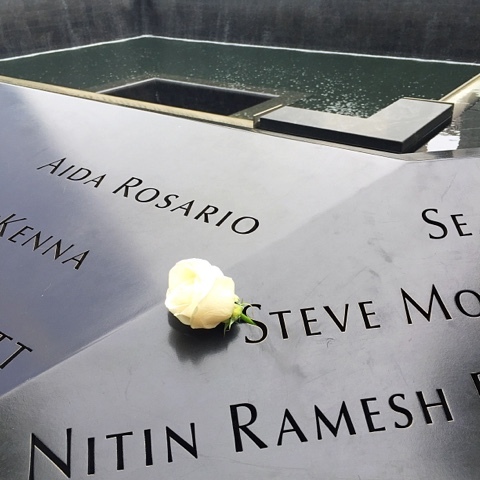 The Memorial which is the two water pools you see engraved with the victim's names has been around for a few years and it always makes me tear up a little to see them. There are usually flowers placed on names, probably by a family member or loved one who misses them. 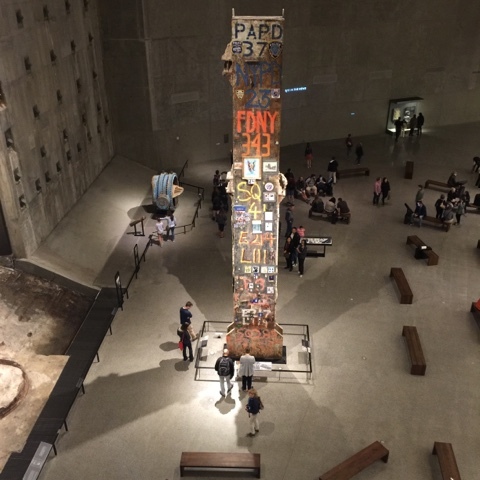 Be mindful around this entire location, yes, it is a museum but it is also a site where many lives were lost. It's not a tourist attraction, it is a part of history and an area to honor those who are no longer with us. 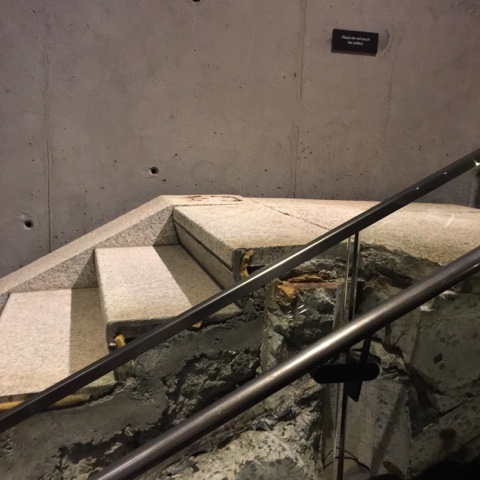 After you purchase your tickets (you can do so in person or online) you walk into the museum and have the option of downloading the app to hear the walkthrough tour (narrated by Robert DeNiro) or having a recoded version with headphones that cost $7. The app is free but will drain 20% of your phone battery and if you choose the recorded version you must leave your I.D. with the front desk. It is the same tour narration, we didn't want to drain our phones since we had a full day ahead of us we went with the recorded version. One of the first images you see is a chilling yet serene picture of the skyline, the last photo taken a minute or so before the attacks. 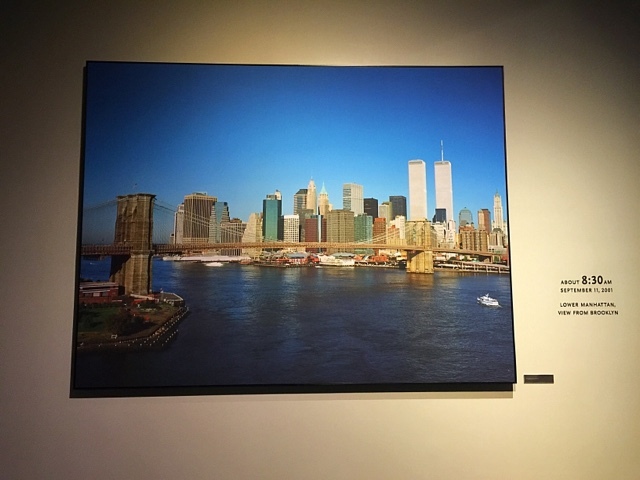 This picture symbolizes pre-9/11, something that is hard to remember and may be non-existent to teens and young adults who were born during and after this time. How the world once was photographed in time. 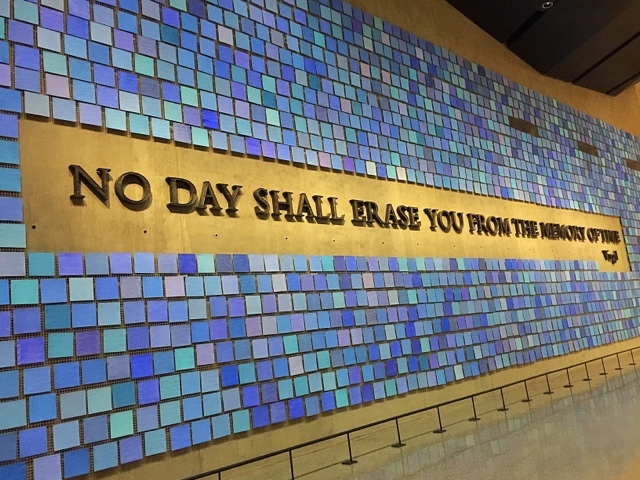 There are several sections to the museum, numerous artifacts including the steel tower which was a clearly seen in the days following the attacks, stairs where survivors fled, painful reminders of what once was and an art piece that contains different shades of blue, all painted by those who try to depict what color blue the sky was on that day. You may take photos in certain areas but you will enter a portion of the museum (the bulk of it) where no photography is allowed. It's an area of the museum where you see the newspapers of that day (it's odd to see how the headlines would change in the coming hours), replays from the attack from the famed Today Show during the time the first tower was hit, first responder calls, eye witness accounts, clothing that was found from suitcases and powerful images including those jumping from the buildings. A lot of this portion is difficult to walk through and if it is hard for adults it might not be the best idea for sensitive children to experience. The museum is beautifully done and I think it is not to be missed. It's important we don't forget what happened that day and remember those lost. 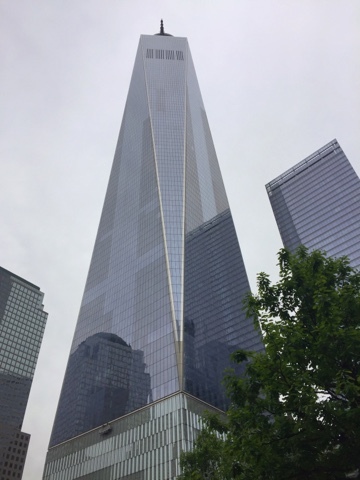 It's fitting that 15 years later the city of NYC is stronger than ever and has even completed the new One World Trade Center. You can now visit the One World Observatory to get a glimpse of the city in one of the tallest buildings in the world. The building is breathtaking! After a little more sightseeing and a pit-stop in China Town (yes, you will be surrounded by faux designer bags and you probably will want one but be careful here! Do not follow anyone into any buildings even if they promise you a real life Louis Vuitton for $20. It's a fun area but be cautious.) 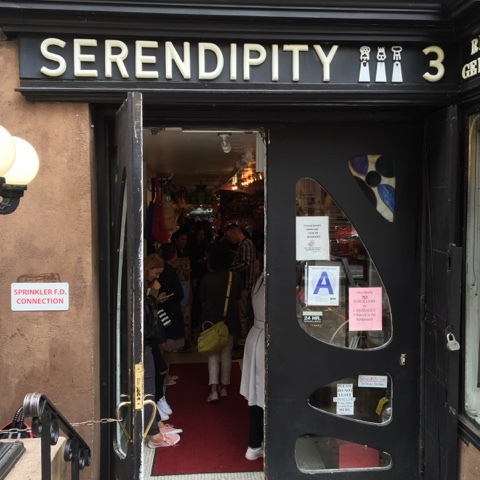 it was time for lunch at Serendipity! Please tell me you have all seen the classic film!? If you haven't go watch it now. 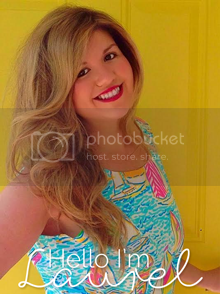 Well finish this blog post then go watch it! 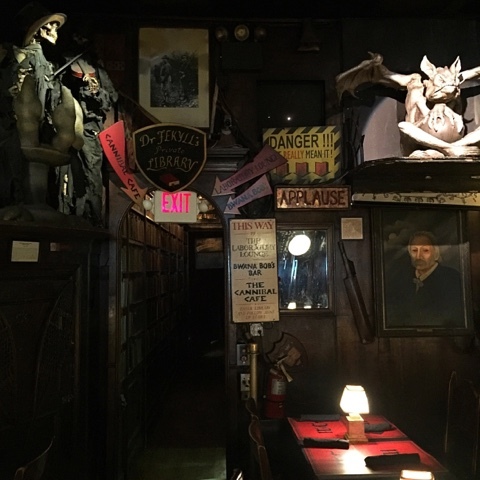 This cozy, charming restaurant offers the famous frozen hot chocolate as well as other decadent desserts such as the "Forbidden Broadway Sundae", "Strawberry Fields Sundae" and if you are really looking to splurge the "Golden Opulence Sundae" which comes in at a cool $1,000. I'll stick to the frozen hot chocolate. They also have a variety of sandwiches, salads, burgers and some of the best fries I've ever had. This is a can't miss for me each trip! I recommend going for lunch or a late night snack (they stay open till 2am). My one rule...MAKE A RESERVATION. I can't stress it enough this is a small restaurant and lots of people want to eat here so that makes for quite the crowd at all hours of the day. Give them a call a couple of days before your visit and make a reservation so you have your spot! We still weren't satisfied with the sweets we just had (lol) so time to make a pit stop at the Sprinkles Cupcake ATM (dreams do come true! 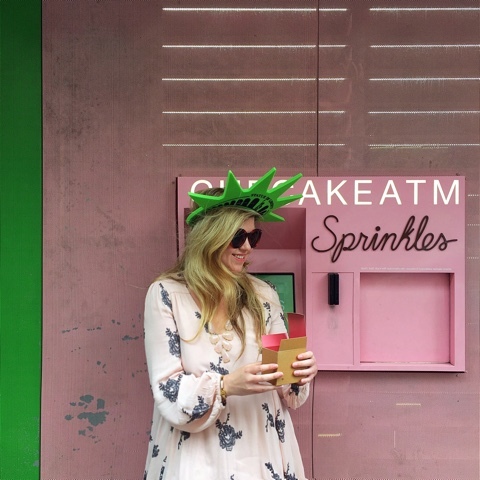 ), there are some really great cupcake spots including the famous Magnolia Bakery, Billy's Bakery, and Prohibition Bakery to name a few! Speaking of food, NYC has some crazy good stuff out there including the newest craze Rainbow Bagels! These can be found over in Brooklyn or you can have them shipped out nationwide from The Bagel Store. Did I mention there is funfetti cream cheese involved? A little shopping on the East Side and it was time to return to the hotel for a nap, well at least rest for an hour then it over to Broadway! I love Broadway plays and musicals, I like to see at least one on a visit, they are a perfect way to relax, get off your feet and enjoy a live spectacle! 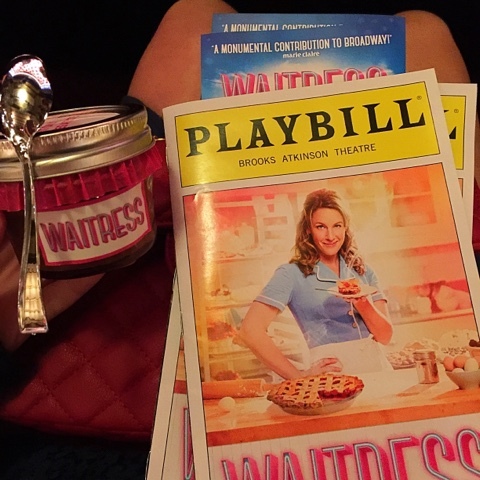 The choice for this trip was Waitress, a musical version of the Keri Russell film plus music and lyrics by the talented Sara Bareilles. First off when you walk into the theater is smells like fresh baked pie, also they were selling mini-pies! The play was fantastic and would definitely recommend, the cast was amazing and I still have some of the songs stuck in my head. There are lots of awesome plays and musicals right now, here is a full list! I have Aladdin, School of Rock, Fully Committed (with Jesse Tyler Ferguson aka Mitchell from Modern Family) and Finding Neverland on my personal list. I am also dying to see Hamilton but it is sold out and tickets are super expensive to buy via StubHub but I did learn there is a lottery where they give out 21 tickets a day so try your luck! After the play, it was raining a little so we had dinner at this yummy Italian place in Times Square, NYC has some of the BEST Italian food, my all time favorite is Carmine's! After a late night it was time for bed but another early morning awaited us. First up, the Empire State Building! We had the two day bus pass so we just hopped on and hopped off, this is another attraction to arrive early at! The view is incredible and not to be missed, the observation deck is open to 2am, I think it would be amazing to go on a clear summer night! After conquering my fear of heights, we walked for a bit then decided to visit Greenwich Village. It is a fun area that has a total hipster vibe, tons of cute, unique boutiques, restaurants and shops. I absolutely loved the boutique, 3NY, they had tons of cute clothes and fun graphic tees. They were so helpful I'm giving them a special shoutout! 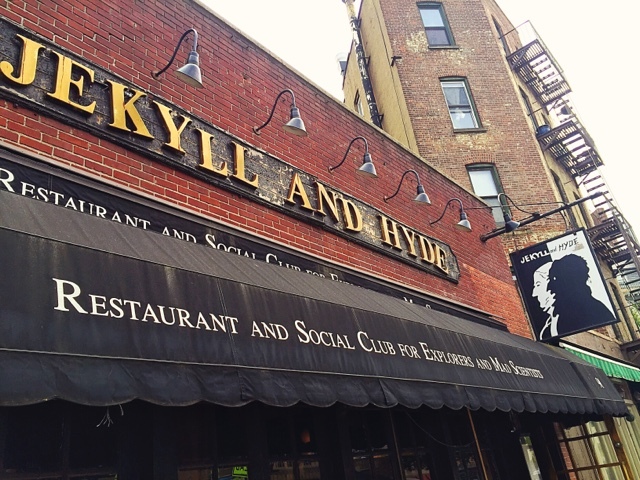 Around lunchtime, we decided on Jekyll and Hyde's. Y'all this is such a fun restaurant! It's almost like a Disney attraction (think Haunted Mansion) with animontronics, creepy waiters, a true themed restaurant. I bet this place is really happening in the after hours, go by for one of the yummy drinks and enjoy your time taking everything in! For the rest of the day we mostly just explored the neighborhoods and started our trek back to our hotel. It was a bit further than we realized but it was a nice day and it was fun to tour the city. 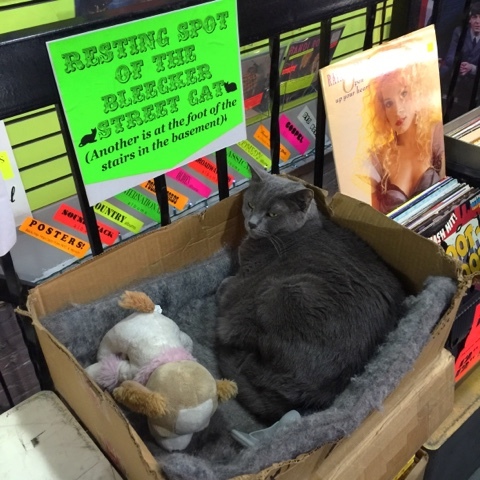 We did go to this really cool record store, I mean they even have cats there. Nope, I'm not "kitten" you haha ok I'll stop with the jokes! Sadly it was time to hail a cab back to the airport but I came back with fantastic memories and an urge to go back to the city soon! So to recap, if you are going to be in NYC for the weekend or 2-3 days, you can't see it all but you can see a lot! 1. Utilize bus transportations! If that's too touristy for you, there is always the subway. 2. Walk! You can walk almost everywhere in NYC, yes some places take longer to get to especially if they are in opposite directions but nothing is better than sightseeing on foot. 3. Avoid looking like a tourist. If you have a guide map, looking constantly at directions on your phone or straight up look confused then you will be more succeptable to people who may not have the best intentions. 4. NYC is a big place and can be confusing to navigate. With that being said remember if the numbers on the signs go up you are going Uptown if the numbers on the signs go down you are headed Downtown. That's all you need to know! 5. Have frozen hot chocolate at Serendipty. You will thank me later. 6. 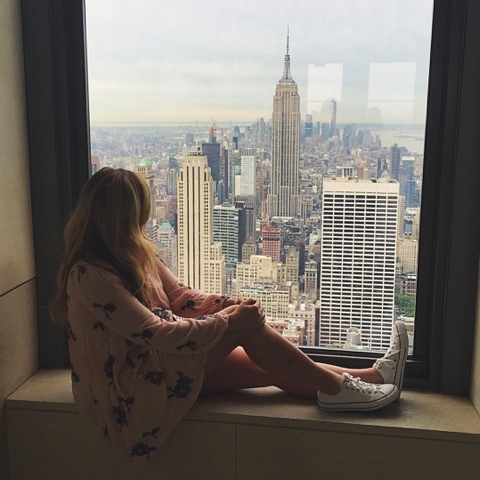 Visit Top of the Rock for a good view and there is even a restaurant! This area is also close to the Today Show, SNL and NBC studios. 7. 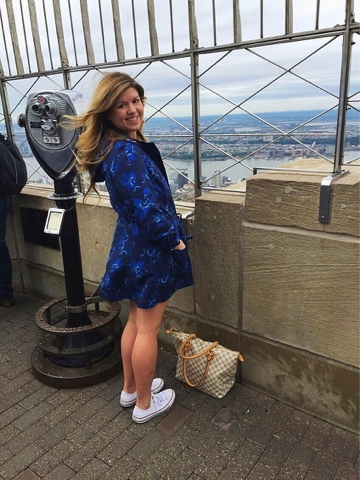 You have to go to the Empire State Building observation deck at least once in your life for the breathtaking view. 8. Go to the Carmine's on the upper West Side to get your Italian fix. 9. If you want to go to the Statue of Libery and Liberty Island, go first thing in the morning or one of the last boat stops at night. 10. Take in the City! 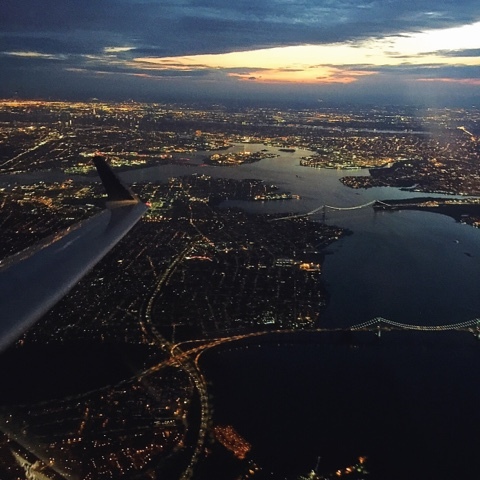 NYC is a place like no other, it's no wonder they call it he greatest city in the world. On any given visit and day you never know what hidden gems of shops, restaurants even people you may come across. No matter what you do in NYC make sure you have an adventure! Aw I loved this! 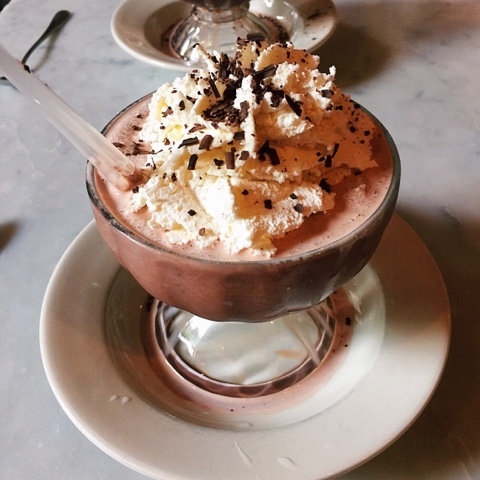 The frozen hot chocolate is still one of my absolute favorites. I go several times a year but still have not gone to the Empire State Building! I'll have to find time for it since I'm moving up there in August. Thanks for the post! I'm so jealous you are moving there! The city is one of my all time favorite places to visit and I can only imagine the excitement of becoming a local! I'll have to keep up with your blog to see if you visit the Empire State Building :) Good luck with the move! Loved the article!! It was very helpful! But I have two questions, did you have to buy your tickets for top of the rock in advance or did you buy them there the day of? And how do the grayline buses work? Thank you!! Glad you enjoyed it! Yes, you can buy your tickets either online or right at the Top of the Rock location. 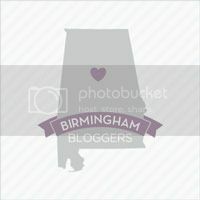 Just click the link towards the beginning of this post where I talk about it and it will take you right to the website! The Grayline busses offer several options (also available in link form on this post) and essentially they are double decker busses that allow you to hop on/hop off at areas of the city. Super easy and safe, fantastic for first timers and if you are short on time!